"A woman overwhelmed"—is this a phrase you can relate to? If you answered yes, you need to read Hayley DiMarco's new book, A Woman Overwhelmed. The best-selling author shares biblical insights and personal stories to offer a glimpse at the comedy of an overwhelmed life while encouraging us to discover the depths and heights of God’s love and power. Choose to bask in the abundance of the Father instead of the abundance of life as his unfathomable depths can surely replace our fathomable messes. 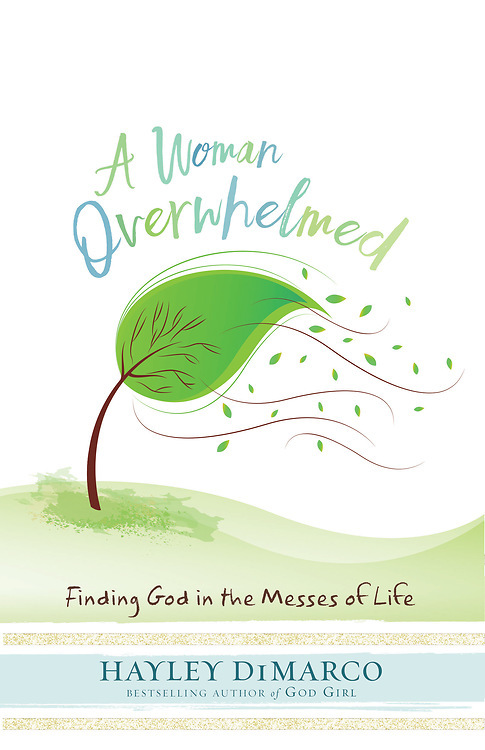 “A Woman Overwhelmed” is a phrase with which many women can relate. Hayley DiMarco is the best-selling author of more than 40 books, including multiple books in the God Girl line, The Fruitful Wife, Obsessed, Die Young and Own It. As the founder of Hungry Planet, a company intensely focused on feeding the world’s appetite for truth, DiMarco speaks regularly for women’s groups and events, including Women of Faith, dotMOM, Precept National Women’s Convention and MOPS International. Hayley and her pastor husband, Michael, live outside Nashville with their daughter and four dogs.